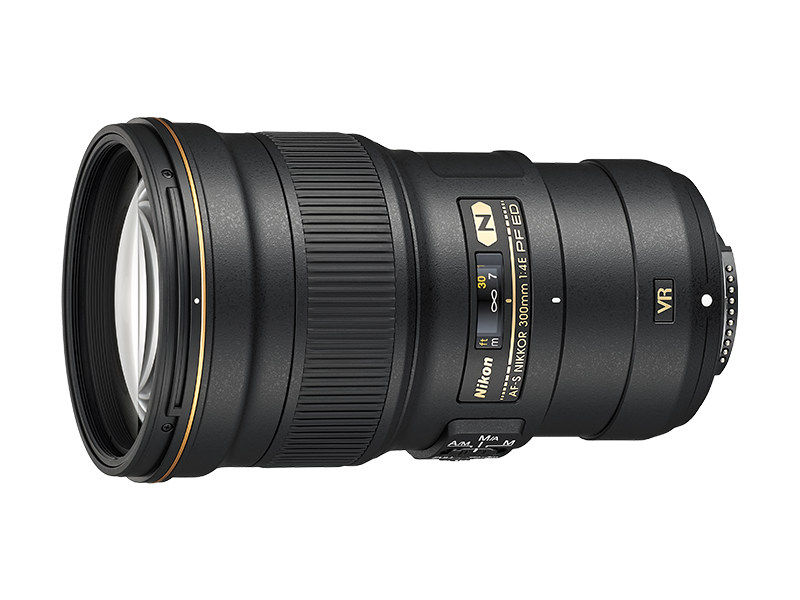 FX-format compatible, prime telephoto lens that employs a PF (Phase Fresnel) lens as a first in the NIKKOR lineup, achieving the world’s lightest* body. 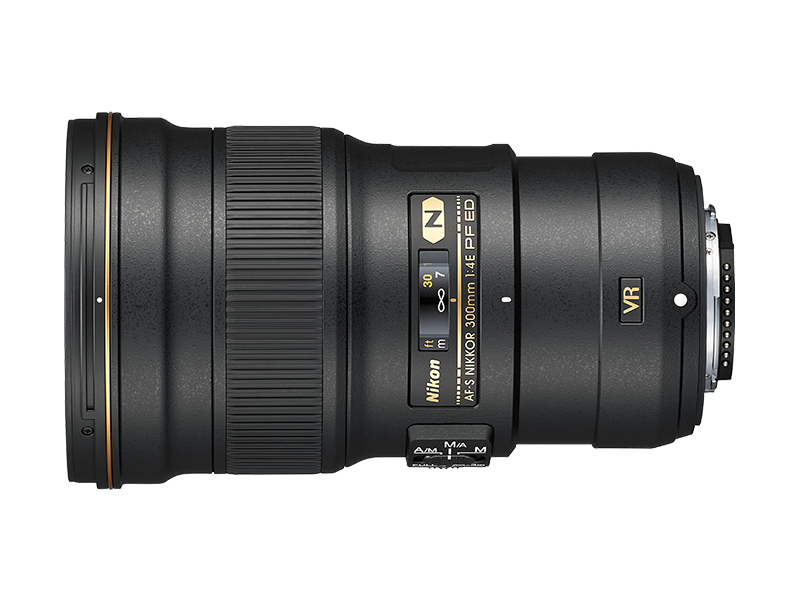 * Among FX/35mm-format compatible, single-focal-length AF 300 mm lenses available as of January 6, 2015. Statement based on Nikon research. FX-format compatible, prime telephoto lens with 300 mm* focal length and f/4 maximum aperture. * When attached to a DX-format digital SLR, the angle of view is equivalent to that of a lens with a focal length of 450 mm in FX/35mm format. Employing a PF (Phase Fresnel) lens, a first in the NIKKOR lineup, an outstandingly compact and light body is realized. Vibration Reduction (VR) function that provides an effect equivalent to a shutter speed 4.5 stops faster* (in NORMAL mode; based on CIPA Standard). Employs one PF (Phase Fresnel) lens element*, one ED glass element plus Nano Crystal Coat to achieve high optical performance with minimized chromatic aberration and ghost effect. * Due to the characteristics of a PF (Phase Fresnel) lens that utilizes the photo diffraction phenomenon, when there is a strong light source within the frame or when light enters the lens from outside of the frame, ring-shaped colored flare may occur according to shooting conditions. This phenomenon can be minimized with “PF Flare Control” included in Capture NX-D. Refer to the software manual for more information. Capture NX-D is available from our website. Please download and use the latest version. Images should be viewed at a size of 50% or larger when applying PF Flare Control. Enables photographic expression utilizing image blur achieved with the maximum aperture of f/4. The adoption of an electromagnetic diaphragm mechanism contributes to stable auto-exposure control even during high-speed continuous shooting. Fluorine coat is applied to the lens front.